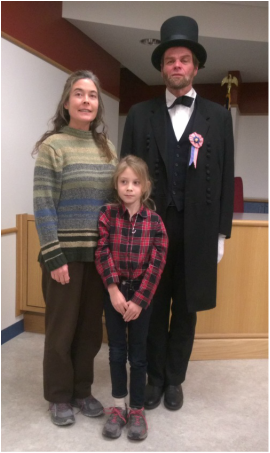 ​President Abraham Lincoln visited the Knox Town Hall on Tuesday, November 17, 2015, nearly 152 years after he delivered his well-known Gettysburg Address. 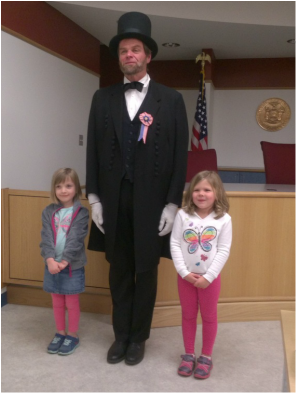 The President shared his recollections of the days surrounding his Gettysburg Address with the good citizens of the Hilltowns. There were some surprising bits of information shared by the President. 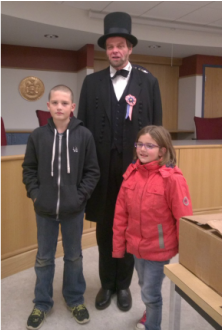 He told us he was not the main speaker the day of the Gettysburg Address. He was only invited to the dedication of the Soldiers' National Cemetery as an afterthought. 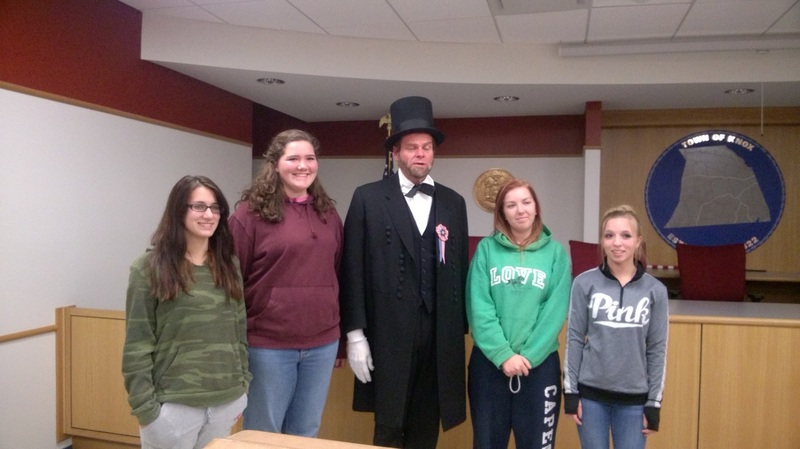 Edward Everett was the keynote speaker and spoke for more than two hours. 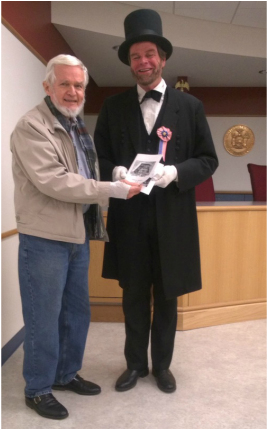 Mr. Lincoln also told us that contrary to what many think, he did not compose his short address on the train. He wrote his speech in the seventeen days before the dedication. 1. The Republic, which had been forged by our fathers and grandfathers, must be preserved. 2. We are dedicating this cemetery to the soldiers who have died. ​3. The living must dedicate themselves to completing the task begun by the dead. 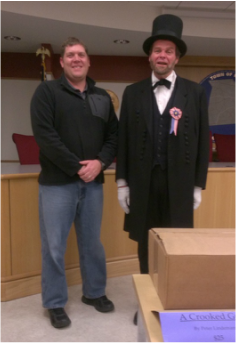 Peter Lindemann, from Howes Cave, NY, traveled with the President and discussed his book, A Crooked Gun: The Civil War Dead of Schoharie County, and his upcoming book, Rambles in Schoharie County. Parts of Knox border on Schoharie County, and Mr. Lindeman pointed out connections that soldiers from Schoharie had with Knox. 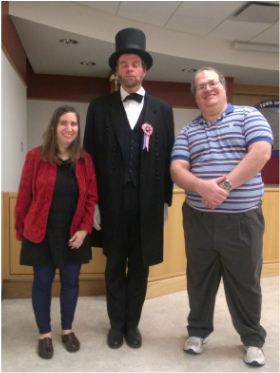 This program was sponsored by the Knox Historical Society in connection with New York State History Month and is part of the Albany County History Collaborative. 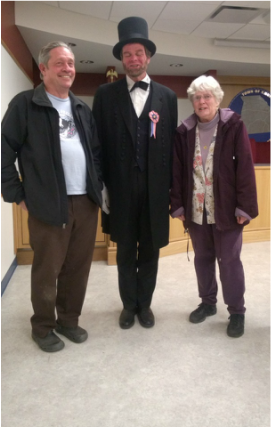 President Lincoln was very gracious and posed for photographs with some of the attendees. 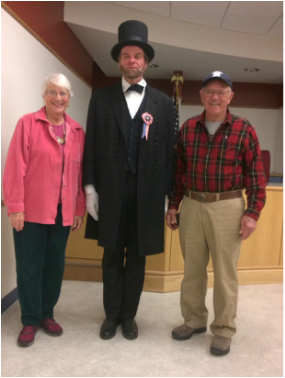 At our October meeting, we said "farewell" to two loyal members, John Elberfeld and Jane McLean. John was Treasurer, organized traveling displays, and archived many KHS documents and photographs. Jane was currently Vice President, had served as Treasurer and Secretary, and collaborated on many programs and events, including two quilt shows.